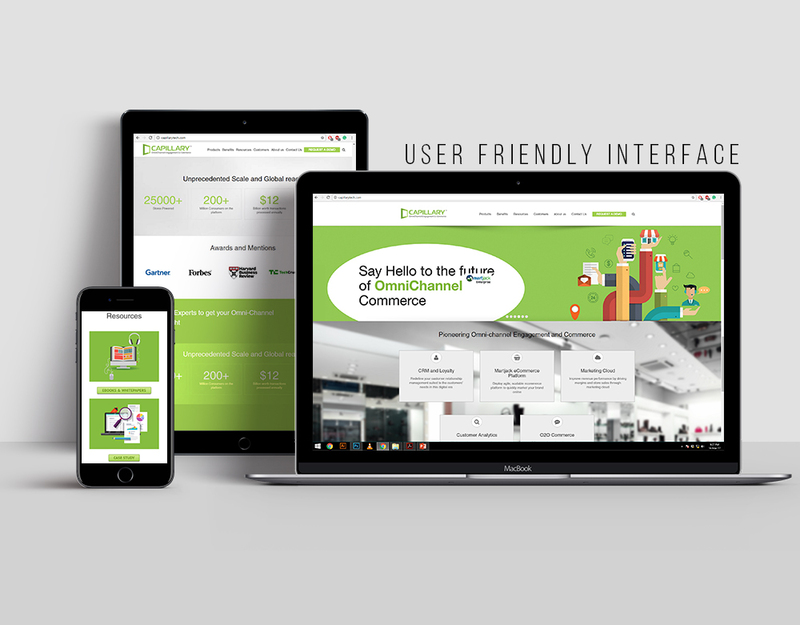 The main challenge faced by Capillary OmniChannel Engagement and Commerce was to have a well-designed and user-friendly website. Enter Circuit 9 with its design thinking solutions and digital marketing proficiency. We were entrusted with the task of increasing the number of daily and overall viewers / footfalls for the website by ensuring that it was interactive, user-friendly and well-ranked. We designed and developed a navigable, user-friendly website that employed the use of creative content and customer-obsessed designs. The functions, services, menus, achievements, etc., on the website are described vividly in words and pictures that showcase the cutting-edge brilliance of the services provided by Capillary OmniChannel Engagement and Commerce. Our web solutions were much appreciated for their design proficiency and user-friendly interface, and this directly resulted in a significant increase in footfalls. This, in turn, contributed towards raising brand awareness for Capillary OmniChannel Engagement and Commerce.